Toronto’s first free school was established and funded in 1848 by local brewer, Enoch Turner. The Schoolhouse operated as a school to educate the children of area’s poor immigrants from 1849 to 1859. Once closed as a school, the building had many different functions, from a war recruitment centre to a soup kitchen, this space was home to concerts and community youth programs. By the 1960s, the building was in such a state of disrepair that it was in danger of being torn down. After being revitalized and opened as a museum in the 1970s, Enoch Turner Schoolhouse, is now one of the oldest, continuously operated buildings in Toronto. 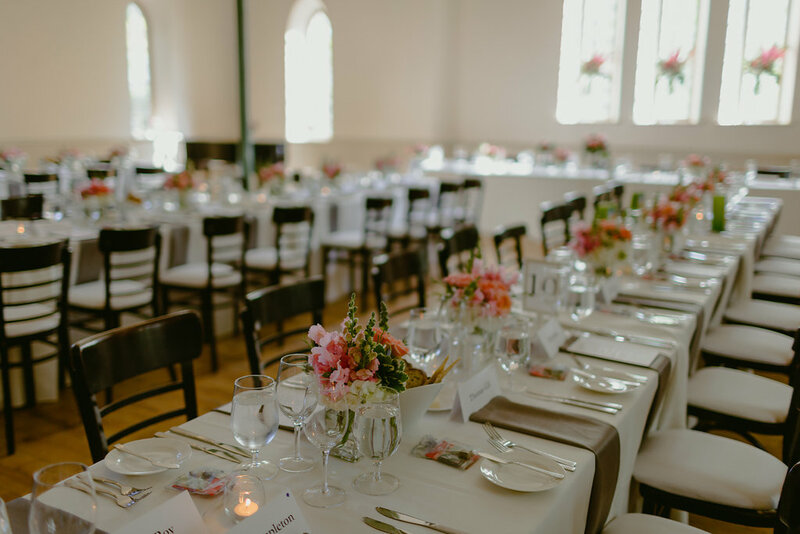 As an event space, The Enoch Turner Schoolhouse is a heritage venue that has contemporary features. Air conditioned and accessible, the venue is ideal for weddings, corporate events, workshops and film shoots. The West Hall is the largest space in the Schoolhouse and can accommodate up to 150 guests. 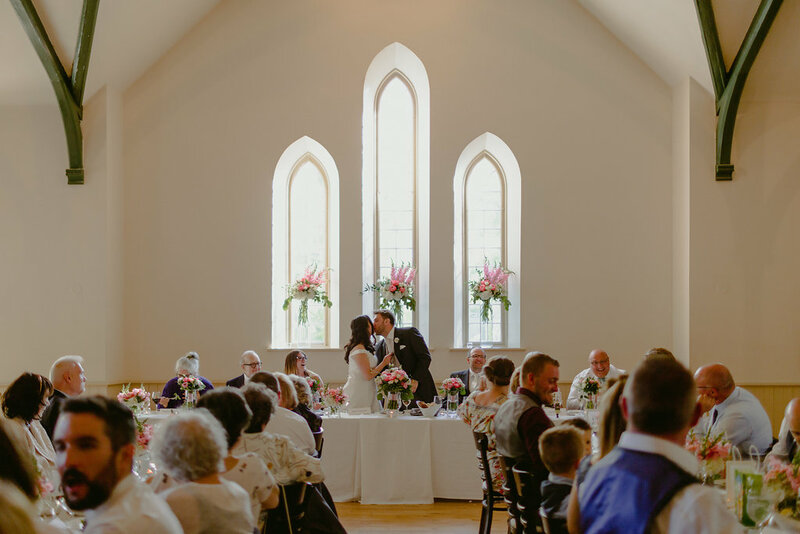 The exposed beams and the natural light that stream through the gothic style windows makes it an ideal space for wedding photographs. The Schoolroom and Salon work perfectly for pre-dinner cocktails and offer break out spaces for corporate events. This historic site is a unique architectural property, minutes from downtown Toronto with a small park and landscaped grounds. The Enoch Turner Schoolhouse is a heritage venue that has contemporary features. Air conditioned and accessible, the venue is ideal for weddings, corporate events, workshops and film shoots. Designated a heritage building, important for its history and architecture under the Ontario Heritage Act in 2000, the Enoch Turner Schoolhouse is the city’s oldest surviving such building.